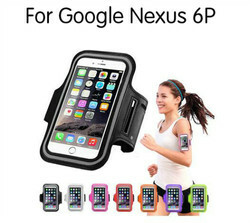 Home › Mobile Phone Accessories › Armbands › Leebote Waterproof .. So if you want to keep tracking your order,pls choose "China Post Registered Air Mail". If you have not got your order within 60 days,pls inform us to extend the delivery time. Or we can re-send you a new one! As Russian Post office policy,Please write full name when you place order,or you can't receive the parcel. Kind Note: It is better to tell us your phone model when you place an order, so we can send the most suitable size, or we will have to send the biggest size! The perfect accessory to keep your phone safe and protected from dust, scratches and marks whilst out jogging, cycling or at the gym. Simply insert your handset and wrap the band around your arm, securing it with the adjustable strap and away you go! The built in screen protector allows full protection and easy access and use of the touch screen. Protects from dust, scratches and marks. If you are happy with your purchase, please leave us positive feedback & 5 star reviews! If you are unhappy with our service for ANY reason, please feel free to contact us before leaving feedback, and we will resolve the issue immediately. Thank you!